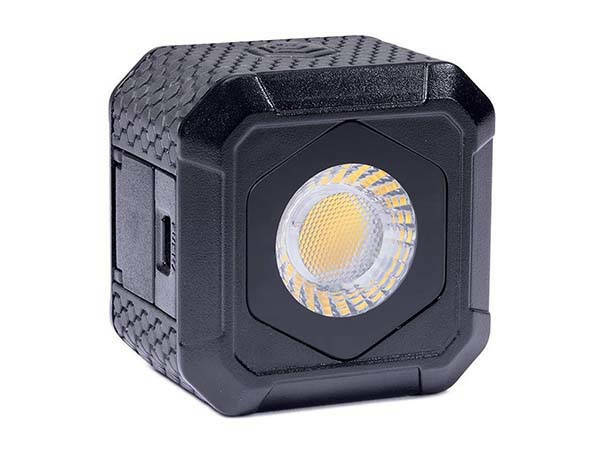 Lume Cube’s Air Bluetooth waterproof LED light is designed to provide complementary illumination for your photography wherever you., and wireless connection lets you more easily control the light. Like the design? let’s keep checking. The Air is a powerful and flexible LED light that measures 1 x 1.5 x 1.5 inches and weighs 2.4 ounces. As we can see from the images, the LED light shows off a compact, cubic form factor so that you can effortlessly take it with you anywhere. Meanwhile, the rugged rubber exterior ensures it’s suitable for various outdoor tasks, and the waterproof design even makes it fully submersible to 30ft feet. With high-quality LED specs and a custom fresnel lens, the compact LED light delivers 5600K daylight with 90+/- CRI, 400 LUX @ 1M and 60º beam angle. In addition to a integrated standard tripod attachment, the LED light also features built-in magnet so that you can effortlessly attach it on a standard trip, selfie stick, handheld smartphone gimbal, any metallic surface and more. 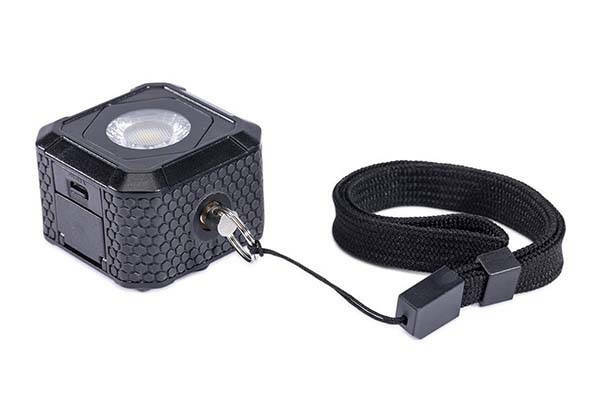 There are 4 brightness settings and one strobe speed on the cube so you can easily adjust the light based on different shot environments. Using built-in Bluetooth technology, the Air wirelessly connects with your smartphone. And it’s companion app brings you more adjustable settings in order to provide your camera ideal constant light for clear and well-lid videos and stills. Apart from these, the Air works as a regular compact LED light to illuminate your night hike or the path of your adventure. The Air Bluetooth waterproof LED light is priced at $69.95 USD. If you’re interested, jump to the product page for its more details.